Lakeport Auto Service has been in the Niagara Region for over 30 years – a family-run business where customer satisfaction is our number one goal, making us Niagara Region’s source for high-quality automotive services. While we specialize in electrical issues, our experienced technicians can also perform complete general repairs on all makes and models, foreign and domestic. 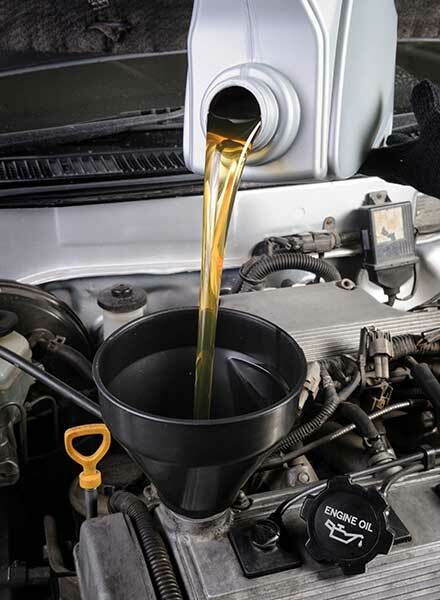 Oil Change is comprehensive preventive maintenance to check, change, inspect, flush, fill and clean essential systems and components of your vehicle. If your “check engine light” is on your car’s computer is telling you something is wrong. When you see this the best thing is to bring in your car to Lakeport Auto Service so we can have a look at what is going on. Is your car A/C making you sweat? Bring it into Lakeport Auto Service for a complete inspection of your cars air conditioning system. We'll help you keep cool for this summers road trip or daily commute. Buying or selling a vehicle? Have Lakeport Auto Service inspect your vehicle before you do either. Our comprehensive inspection will give you piece of mind before making any expensive decisions. We have been in the Auto Repair business since 1986, providing our customers with complete auto repair services and maintenance. Sam was so friendly and explained everything my car needed done without making me feel stupid. It’s the only place we will take our cars for repairs from now on. I'm new to the St. Catharines area and Sam came recommended from my own mechanic in the East End of Toronto. Service is prompt, fair rates, Sam is very knowledgeable. I'd recommend Lakeport to my family and friends! Best place to go. Reasonable pricing and they get the job done quick. Highly recommended!! Stopped here a few times over the years for electrical issues. I’ve always found them super reasonable and trustworthy. A couple times they’ve spent time diagnosing an issue, and did not even charge me after choosing not to fix it. I would recommend to friends and family. Been going here for years. Great pricing, great mechanics, great service, friendly atmosphere. Practically feel like family. My car wasn't driving smoothly. Sent it to 2 mechanics in town and they all could not find anything wrong. Tried Lakeport Auto after some googling and I wasn't disappointed. When they say they'll "...fix the problem the first time, guaranteed", they're not kidding. Issue got diagnosed and fixed in a couple of hours. Reasonably priced as well. I just found myself a new mechanic for my car. Kudos!! Brought my wife's car in for brakes and tires. Was super happy with the work and the way they treated us that I had my own car's brakes done there the next day. My go-to repair place from now on. Sarkis was a pleasure to deal with. He walked me through all of my options, explaining both long- and short-term fixes. The whole experience was comfortable. I dropped my car off and had it back - fixed - in less than four hours. This is how Auto Repair should be done. I will be back the next time I have a problem. Have been taking my car here since moving to the city, great service, great mechanics, always honest and reliable!!! With our same day service, Lakeport Auto Service will fix the problem the first time, guaranteed. Call us or drive on in for a free estimate on your vehicle’s repair needs and see why the Niagara Region has trusted us for repairs and preventive maintenance for more than 30 years. ©2018 Lakeport Auto Service. All rights reserved.